sellers, lenders and real estate professionals. To access these features for free, click sign in and use the login box. 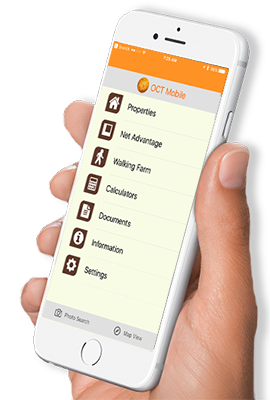 OCT Mobile is the name of our mobile app, and it gives you the best of what you find here on our website, and puts it in the palm of your hand. Best of all, our apps automatically sync between the phone and your computer! No thinking about exporting or saving unless you want to. Our video library has lots of great video tutorials that you can watch at any time. Check out the featured video to the left, or click below for the full library. Check out this three part video series where Executive Vice President and General Counsel, Bill Burding, discusses upcoming CFPB Regulations, including Best Practices, the TRID and more.